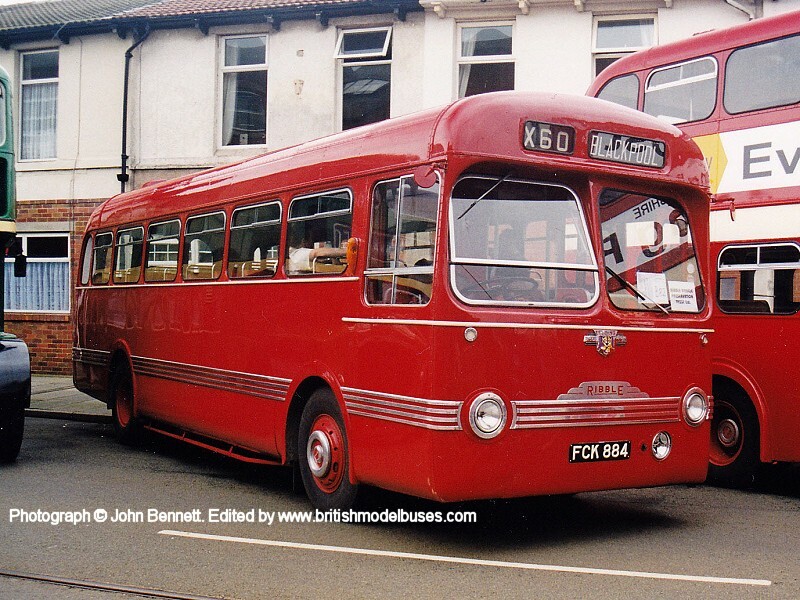 This photograph shows fleet number 452 (FCK884) and was taken during 'Fleetwood Tram Sunday 19th July 1998. 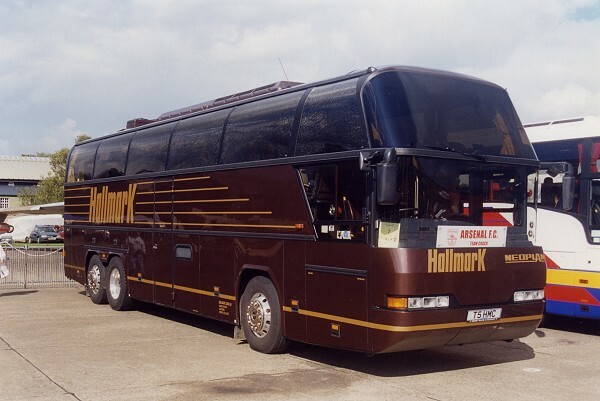 This photograph shows fleet number 412 (FCK844) and was taken at the Seaburn Rally (Sunderland) on 28th August 2000. 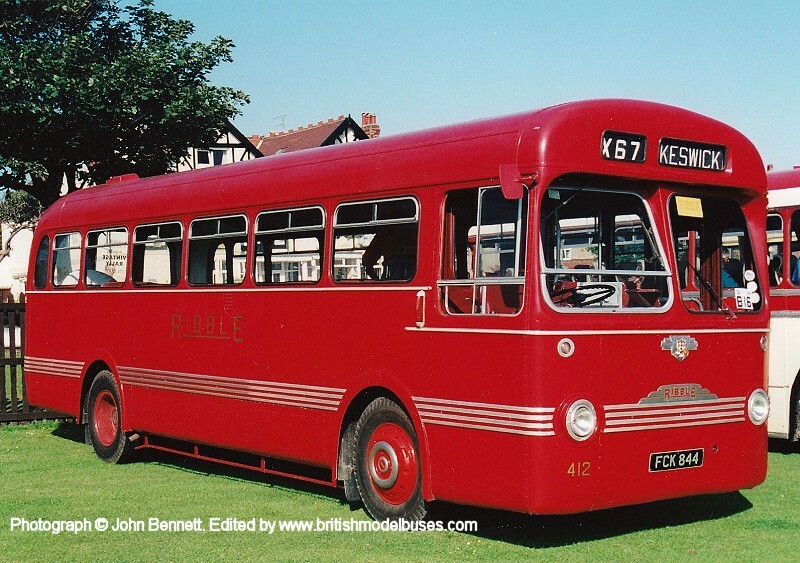 This photograph shows the type and shape of bus better than the photograph of 452 above. 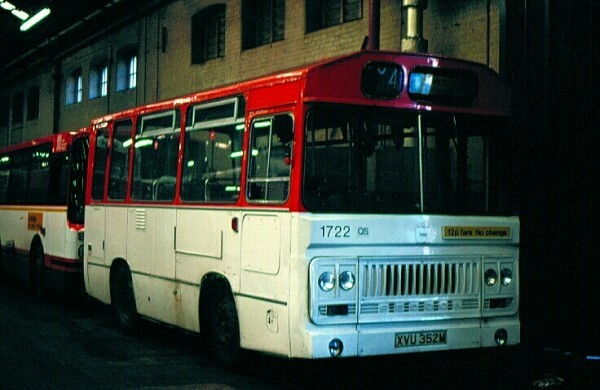 This photograph shows Greater Manchester fleet number 1722 (XVU352M). This vehicle was built for the Centreline service linking the two main stations in Manchester and is seen inside home depot Queens Road in March 1986. 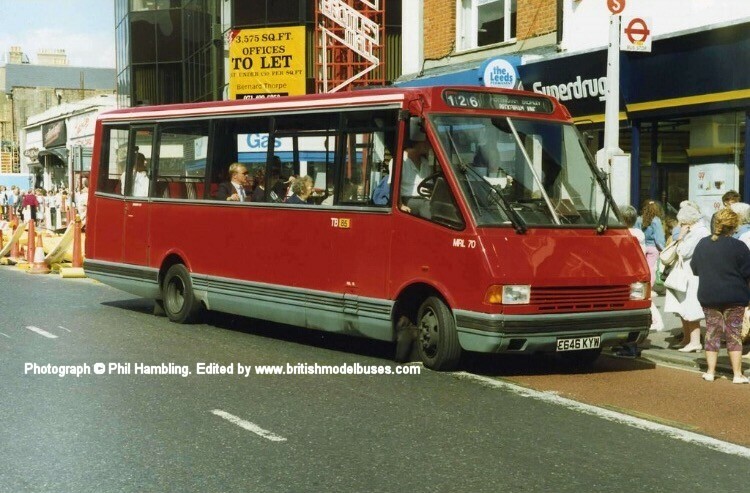 These vehicles were replaced by Dennis Domino types that year and one of the new buses is just visible. 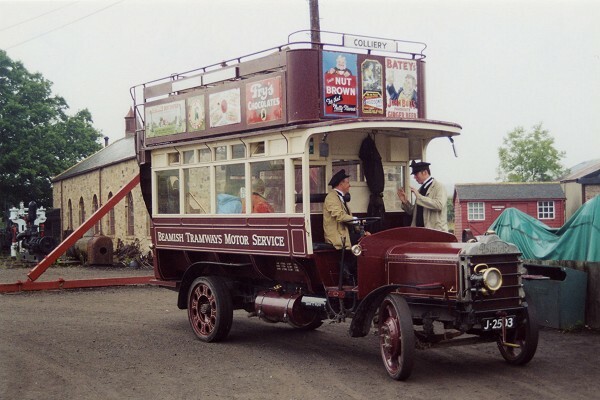 1722 was later preserved by the Manchester Museum of Transport. This photograph was taken at the North of England Open Air Museum, Beamish, on Saturday 26th August 2000. 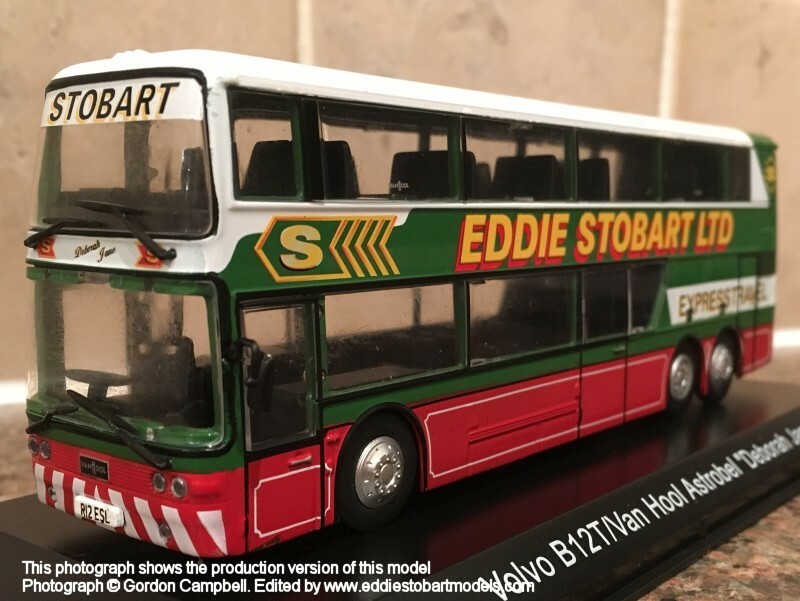 It shows replica bus, registration number J-2503. 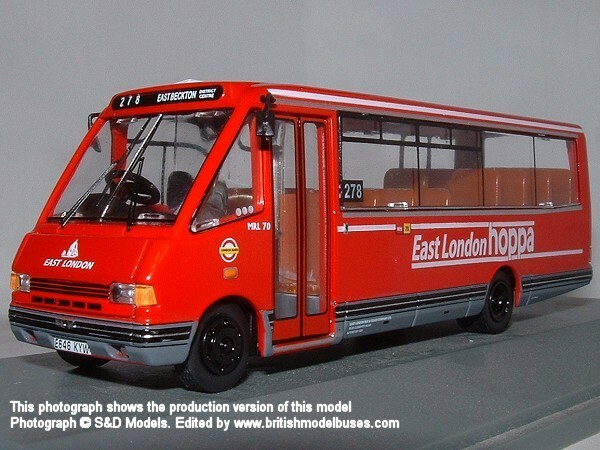 This is the actual vehicle represented by Corgi Classics Ltd model number 96988. 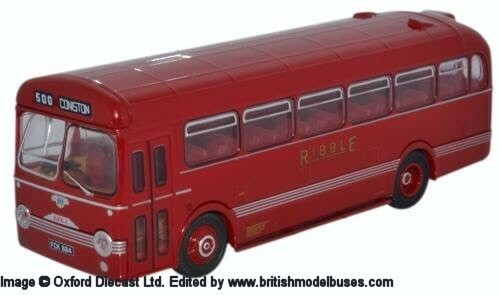 The Corgi July-December 1993 catalogue describes it as a replica based on a 1913 Gateshead Tramways bus built on a Daimler chassis.